We will start with DSVA, for a long time there has not been a new version of this appliance. Now we have a new, 11 version, do we have to use it? Well, not necessarily. 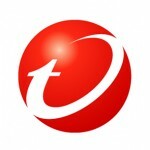 We need to distinguish between two aspects, upgrade the OS appliance (this brings version 11) and upgrade the agent to version 11 inside the appliance. 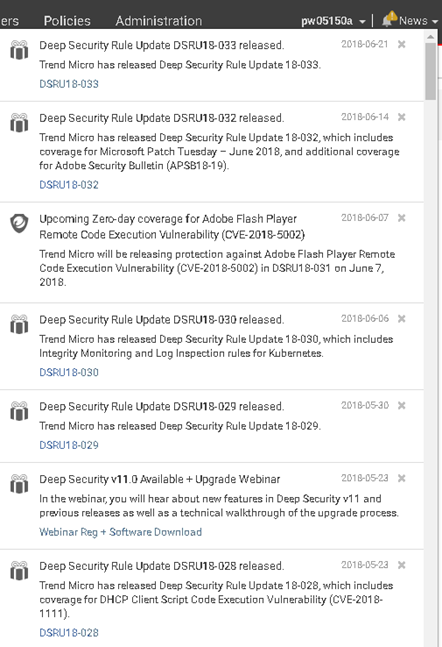 The problem is that once registered Deep Security in NSX appears as a service, there is no possibility to upgrade its version. And every interference in the service interrupts the protection of virtual machines. Following the Trend Micro instructions, we would have to destroy the whole configuration and then create it from scratch. With a large environment, this is a very serious problem. What can we do then? We can import a new version for DSVA, but it does not mean its automatic upgrade. 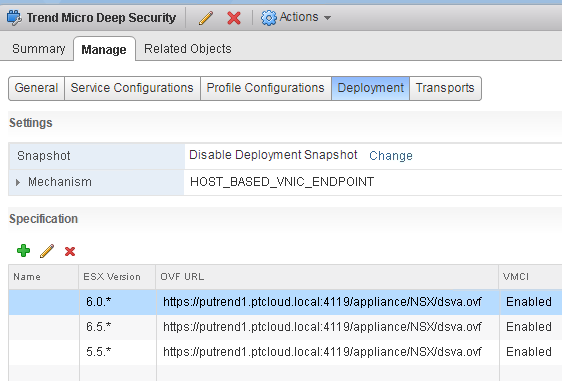 We can delete DSVA from NSX level and upload a new version, but this will stop the protection on the machines. We can also standardly upgrade the agent inside DSVA and this is the quickest method (the interval is minimal, as much as reloading the agent). After this operation, we have an old appliance with a new agent and everything works. 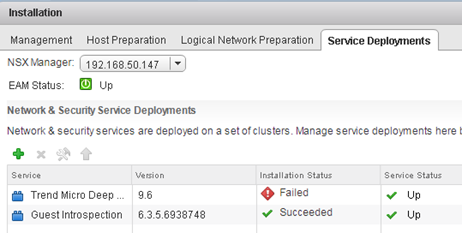 What about the ESXi upgrade to version 6.7? In the service definition, we have the Deployment section, it is clear that for each version of ESXi there is the same DSVA file. 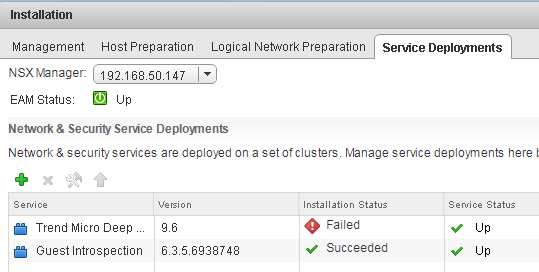 Just add a new definition for ESXi 6.7. No other modifications are needed. 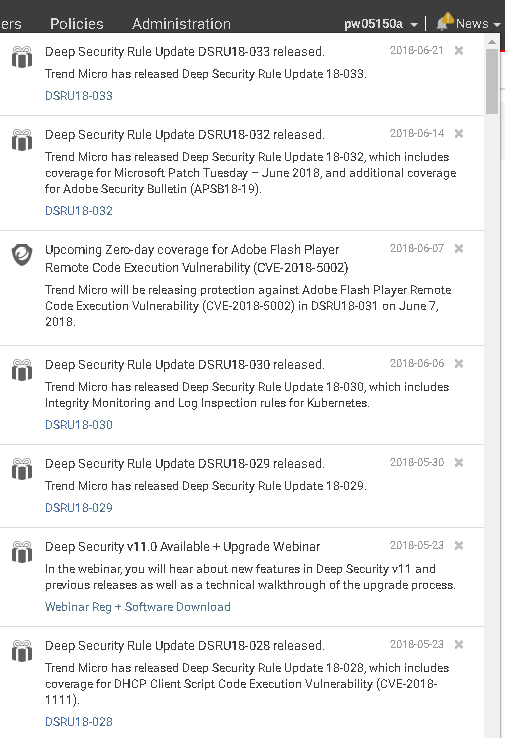 Thanks to this, we have support for ESXi 6.7 without having to re-register Deep Security in NSX. And the same in the future for subsequent versions, unless the whole structure in the vSphere, NSX and Deep Security schema changes. Of course, a new version of DSVA will be uploaded for new hosts (if necessary). 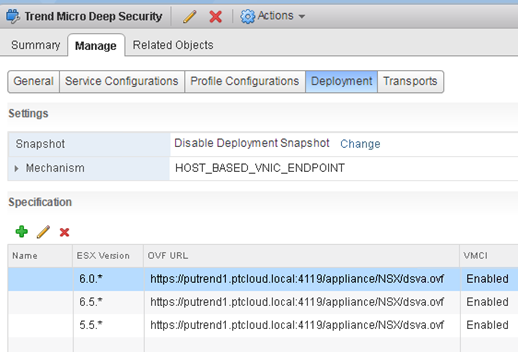 Version 11.1 supports vSphere 6.7 with NSX 6.4.1.